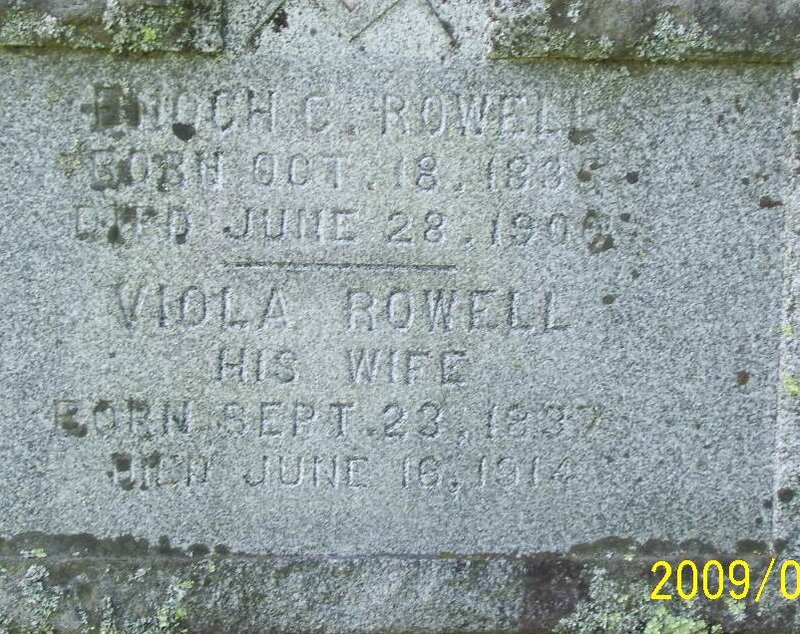 Enoch and Viola were first cousins who married in 1865, he was 29 and she 27. 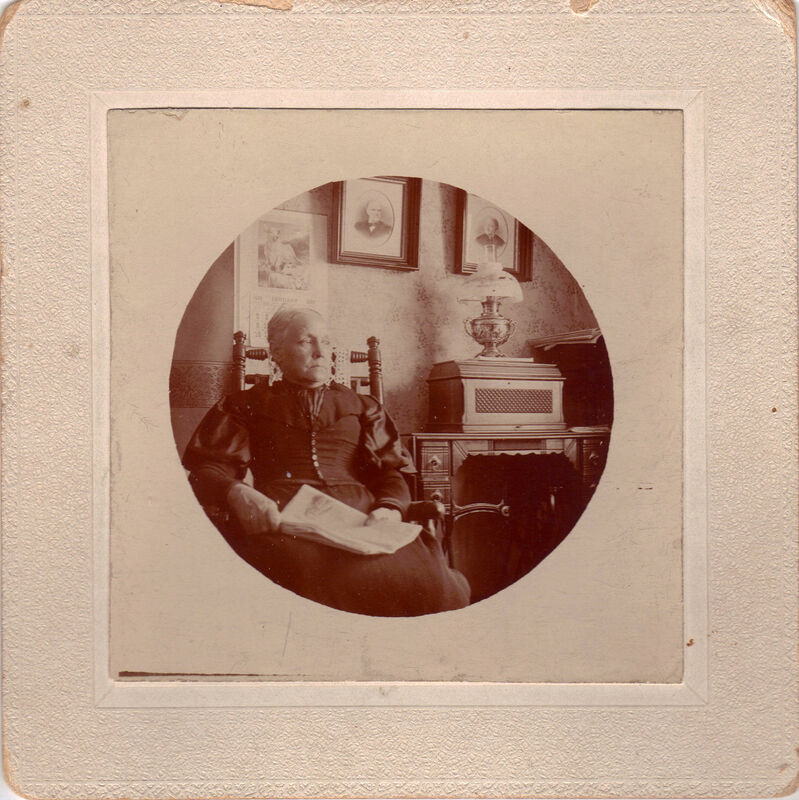 Viola's father, and most of his siblings, had left New Hampshire for open land in Vermont. 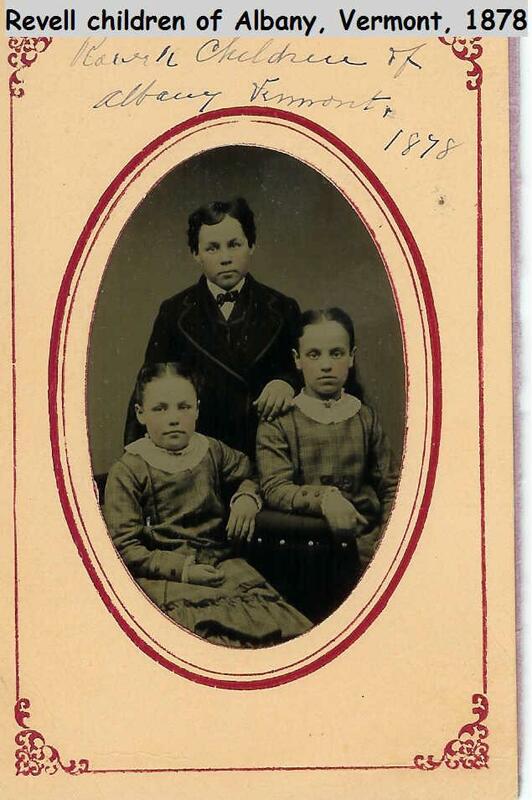 Enoch's father had remained in Plainfield, NH where he died in 1850 when Enoch was 15. Enoch left Plainfield to live with his Uncle William in Albany, VT. William's only son had died the same year, so Enoch was probably seen as a blessing on a "sonless" family. Enoch took over William's prosperous farm in East Albany. In the 1870 census, William Rowell appears to be one of the wealthiest men in the area. On the farm they grew wheat, corn, potatoes and sugar maples trees. 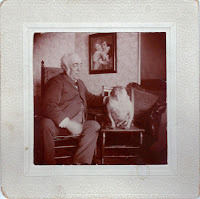 He also had sheep and cattle. By the time Enoch was running the farm business they had five employees. In the 1880 census, Enoch's son William, age 14, is working on the farm, his sisters are "at school". Presumably, William had completed his education. There are three hired farm workers and one female servant on the farm. The 1890 census has been destroyed so there is no further census info until 1900. 34 year old William is the head of household, Enoch, Viola and William's sister Mary Viola make up the household. 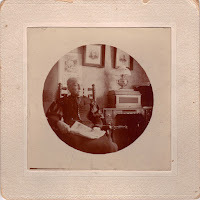 They continue to employ farm hands, and now have a 17 year old female servant, Cora Grant, the future wife of William. Wonder what his parents thought of that. Enoch, like his uncles before him, participated in town and state politics and was also selected to the State House of Representatives. He apparently was a member of the Masonic Lodge and held the rank of Captain in the Vermont Militia in 1866. Enoch died 12 days after the 1900 census was taken, he was only 64. According to his death record he died of cirrhosis of the liver. Viola lived until 1914 at age 76. Her death record says she died of "old age". Surprisingly, she died in Hardwick, VT some 18 miles to the south of Albany. It seems that William had given up or lost the farm and was by 1910 an Ice Dealer in Hardwick. Viola died at his home. 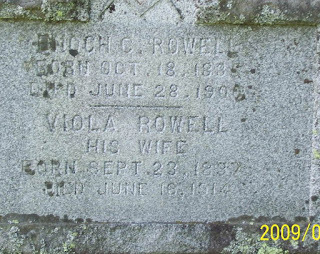 Enoch and Viola were buried in the Rowell Cemetery in Albany.